We’ve given you a few months to think about this, are you ready?! This is a decision you will not regret. Registration forms are available here. If you still have questions, such as what the time commitment is, when the group meets, or other questions, please email Mary or call 234-0785. With the wonderful summer we have had the crops will be plentiful this fall. Each harvest season, our Agri Business committee works hard to deliver buckets of goodies to our farmers in the fields in McLeod County. If your business is interested in supplying goodies, or money for this program, please complete and return the Farm Fatigue Commitment Form. Primary EyeCare is our August Business of the Month! Learn more about Primary EyeCare here. Have you ever noticed the commercials showing someone in the midst of a random act of kindness for another person, and then the pay-it-forward effect for the remainder of the commercial? It ends with someone helping the first person in the video. A nice example of when you put something out into the world, it comes back to you. Continue reading Mary’s article here. 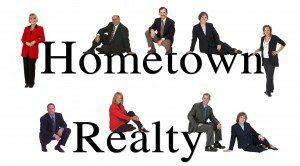 The August Business After Hours will be held at Hometown Realty on Wednesday, August from 4-6pm. Watch your email for the e-invitation and registration. THANK YOU to everyone who joined us for our annual golf challenge, and to all our sponsors! We hope you enjoyed the day. If you want to join us next year, make sure to put the Hutchinson Chamber Golf Challenge on July 25, 2016! Pictures from this event have been posted on our Facebook page. Do you own a small business? Well, this event is for you! This is a day for your business to gain knowledge and be inspired to “keep on keepin’ on!” More details will be available soon, but add Tuesday, October 13th to your calendar! The deadline to submit events for the 4th quarter (October, November, December) table tents is September 1! To submit an event, email Melissa or call 234-0786. Also, if you submit an event to the table tents, make sure to add it to the online community calendar. The community calendar averages about 100 views a day, so don’t forget to utilize it! Submitting an event to the community calendar may be done through your chamber member portal.